As Russia’s largest airport, Moscow’s Sheremetyevo International (SVO) is a major contributor to the development of the country’s transit air cargo shipment potential, including between, to and from China, south-east Asia and Europe. At the end of 2017, this specific SVO market share rose to 58,000 tonnes, or 20 per cent of the total. Chinese destinations are the most popular from Sheremetyevo, with Shanghai (PVG), Beijing (PEK) and Hong Kong (HKG) traditionally among the most important destinations for export and transit shipments, as well as for imports and transfer freight. Last year saw a significant increase in freight traffic on flights to Zhengzhou (CGO) and Chengdu (CTU). In addition to Chinese routes, south-east Asian destinations, such as Singapore (SIN), Hanoi (HAN) and Bangkok (BKK), were in high demand in 2017. 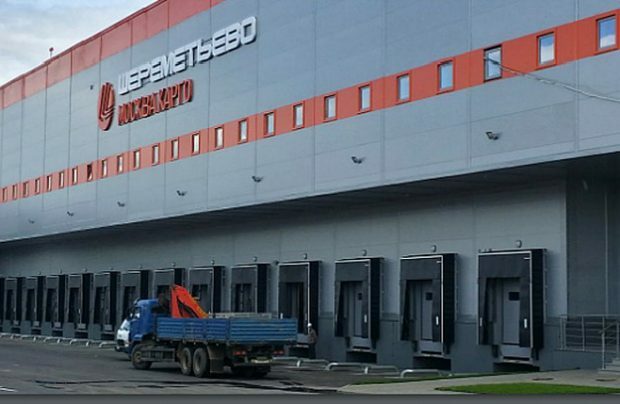 Sheremetyevo’s new automated cargo terminal, known as Moscow Cargo, entered commercial operations in late 2017 and is an important factor in the implementation of the airport’s strategic cargo development goals. With the aim of handling more than 700,000 tonnes annually by 2024, SVO plans to start the design and construction of the second stage of the cargo terminal expansion this year, in a project designed to handle an additional 380,000 tonnes of cargo per year. In partnership with its key customers Aeroflot and AirBridgeCargo (which are currently responsible for up to 90 per cent of the terminal’s total tonnage), Sheremetyevo expects to strengthen its position as a global cargo hub between Europe and Asia. The Moscow Cargo facility currently handles about 735.7 tonnes of cargo per day; its share of transit traffic is 36.57 per cent, whilst imports account for up to 35.27 per cent; and exports 17.09 per cent, with mail making up the remaining 11.07 per cent. According to the company’s data, Moscow Cargo handles 51 per cent of all cargo shipments being moved through the Moscow aviation cluster, whereas the share of another airport terminal, known as Sheremetyevo Cargo, is seven per cent. The terminal is equipped with an automated seven-layer cargo storage and retrieval system, which can accommodate up to 3,198 pallets. A four-layer container storage zone is equipped with an ULD automated processing system providing a total of 576 slots, 60 of which are refrigerated and offer temperature controlled movements.